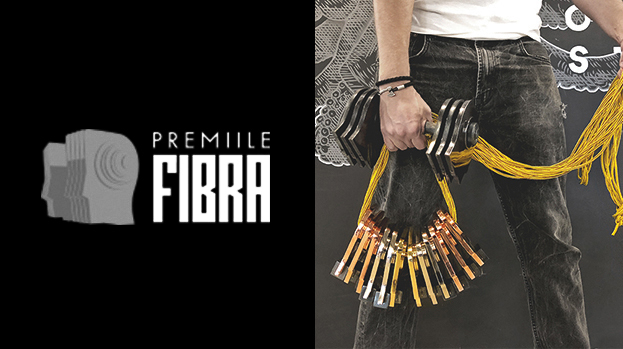 Eight campaigns, 21 nominations and 13 trophies, including 1 Grand Prix – this is the overview of MullenLowe’s presence at FIBRA Awards 2017. At the second edition of the creativity festival, the agency won 1 Grand FIBRA, 2 Gold, 3 Silver and 7 Bronze awards for the campaigns developed alongside Lidl, ZIZIN, VEKA, Electric Castle and Vanilla Skype by BRD, therefore obtaining the second general score of the competition. ‘The fact that we went 13 times on the FIBRA stage is a confirmation of the Mullen team, putting in 100% work, passion, madness and #octopuspride in everything they do. We are very glad for these awards that crown the efforts standing behind each campaign and validate the agency’s quality creative product, which we are committed to deliver to all our clients,’ says Gabriela Alexandrescu, Client Service Director, MullenLowe. The campaign Electric Castle – Unofficial Partners brought the agency the most important trophies: Grand FIBRA and Gold within the Promo & Activation – Brand promotion category, another Gold for PR – Sponsorship, Partnership & Endorsements, 1 Silver for PR – Experential / Stunts and another Silver for Promo & Activation – Brand activation. With Vanilla Skype – The Audience Casting, MullenLowe won 1 Silver Award for Promo & Activation – Brand promotion and 3 Bronze trophies at Media – Creative Use of Media, PR – Sponsorship, Partnership & Endorsements and PR – Experential / Stunts categories. The campaigns, developed alongside the Golin PR agency, were recognized this year also with Grand Prix at the Golden Hammer Festival in Riga. The Lidl’s Electric Kingdom campaign was awarded with 2 Bronze trophies for Promo & Activation – Shopper experience and Events – Corporate entertainment. Moreover, MullenLowe won 1 Silver for Digital – Social Media with The never ending day of Giraf, developed alongside ZIZIN, as well as 1 Bronze for Direct marketing – Use of traditional media with The 50-year calendar, made together with VEKA. The annual festival FIBRA Awards, organized by IQads and supported by IAA, UAPR, ADC*RO and IAB Romania, aims to recognize and encourage the value of the local creativity. The same as it was at the first edition of the FIBRA Awards, the campaigns were analyzed by a jury composed of 8 international specialists.